Watch the game, drink some beers, and eat some tasty food during the biggest sportsball event of the year. It’s that time again—Superbowl Sunday, the first big secular holiday of the year. It’s also a chance for local bars and restaurants to do some specials and invite you in to watch the game. Here’s where you can that that his year in Astoria, LIC, and Sunnyside. Things will start around 6pm on Sunday, February 4 unless otherwise specified. Hey guys, if you want to order wings for Super Bowl Sunday please be sure to get your orders in by Thursday February 1st. Cheers! No game day orders to go. More information. If you’re hosting friends for the big day, be sure to remember us for you Super Bowl needs! Order trays of all your favorites: Burgers, Wings, Hot Dogs, Fries, Onion Rings, Mozzarella Sticks, Jalapeno Poppers and more!!! You can conveniently order trays on our website.Remember, the more you order on our website, the more loyalty points you earn!! Orders must be received no later than Saturday, Feb. 3rd. More information. Call 718-777-2230 or email info@katchastoria.com for catering menu. More information. WASSUP, FAM? ORDER A HUGE TRAY OF MAC ‘N’ CHEESE FOR THE SUPER BOWL!! TO PLACE YOUR ORDER, EMAIL QUEENSCOMFORT [AT] GMAIL [DOT] COM BY THURSDAY, FEBRUARY 1, AT 5PM. More information. February 4th Is coming! Eagles v Patriots in a Contest of Champions! Watch with us and enjoy rare brews from Founders, Draft and Can Specials all Night, and a special Big Game Bites Menu featuring our newly popular Frickles with House Horseradish sauce, as well as other awesome treats! Check back soon for more info! Make reservations soon! You don’t want to miss out! More information. Bubba’s will have 50cent wings. More information. Super Bowl Sunday is almost here!! $5 drafts, $6 wine, $7 mixed drinks. Complimentary bar food. More information. Come watch this exciting Super Bowl a the best sports bar in Queens. We will have a special menu, a great takeout menu and bottle service”. Make your reservations at 718-777-2230. All should plan on staying for the “This is Us” watch party directly after Super Bowl!!! Sportsball! Join Trivia NYC as we watch the year’s best commercials, and also some football, brought to you by the not-at-all-litigious NFL. Team trivia, food, drink, and legal gambling, all made fresh just for you. 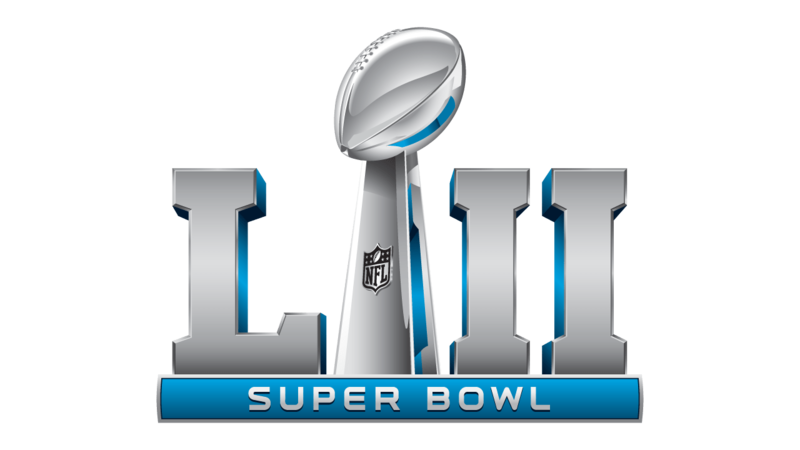 52 questions written just for Super Bowl LII (which is 52 in Roman numerals, smartypants)! FREE to PLAY. More information. Two-hour sponsorships available at the low 2016 advertising price of $960,000,000*. *Based on $4,000,000 for a 30-second spot. Put this in your calendars! Super Bowl – We can’t wait for Super Bowl Sunday! Should be an amazing game. Who are you guys rooting for? Join us for awesome game day food and drinks! It’s happening Sunday February 4! More information. 25cent wings, $15 Singlecut pitchers, and $5 pickleback shots. More information. This year the taproom will be showing the Super Bowl (we’re usually closed). We’ll have tons of beer, nachos and big tables. Join us Super Bowl Sunday for pizza, burgers, wings, and 2 for 1 drink specials!! Watch on our 100” drop down projector. More information.